With the emergence of any new industry, there are bound to be initial hurdles that must be overcome before achieving breakthrough success. 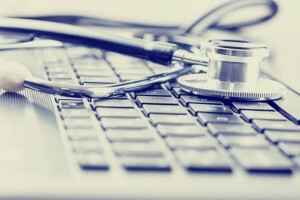 The telemedicine industry is no exception. Telemedicine by definition is the use of telecom and information technology to provide healthcare remotely. Patients can video conference with their doctor and receive medical advice that otherwise may not be easily available to them. Telemedicine enables easier referral services, remote patient monitoring, and can result in significant cost efficiencies (consider the reduced travel and waiting times). Among the most significant challenges in providing virtual healthcare are regulatory policies, which differ by state. In some states, telemedicine is banned completely. In others, an in-person visit is required prior to a tele-visit. This makes it very difficult to adopt this movement across the country because there is so much variation in the regulatory rules. Across states, payment policies also differ; ideally there would be no difference in reimbursement for in-person and virtual visits, therefore eliminating the incentive for doctors to rely on traditional visits over telemedicine. Another issue involves ensuring that medical decisions are made based on the same quality of information. Although the process of relaying information virtually is different, physicians should be able to make recommendations the same way they would if a patient was describing their symptoms in person. As telemedicine is integrated into modern healthcare practice, consistency and repeatable processes are key. 2025, there will be a shortage of up to 52,000 physicians. The use of telemedicine can help close this gap and allow more physicians to reach more patients in an efficient manner. With almost 90% of Americans now covered by health insurance, it is more important than ever that people have access to the medical experts they need. In terms of quality, virtual doctor visits can deliver comparable outcomes to in-person visits, but at a lower cost. A 2011 CDC study found that 80% of emergency room patients sought emergency care because of their lack of access to a primary care physician. With telemedicine, these patients have access to a doctor at all times, and would also only pay a small fraction of the cost of a visit to the ER. Time will tell whether the opportunities outweigh the obstacles of telemedicine. However, steps can be taken to help pave the way for measurable breakthrough results. Read about how your service or product can achieve breakthrough results in our white paper, or contact Juran, a leading management consulting firm, today!